At the start of Breaking In (2018) we are greeted with an older gentleman who is out for a run during the morning hours. Out of nowhere, a speeding pickup truck hits the old man. At first, it seems like an accident, but you quickly learn that that might not be the case. After the driver of the vehicle speeds off, the film cuts to Shaun (Gabrielle Union) and her two kids, Jasmine (Ajiona Alexus) and Glover (Seth Carr) who are driving through the countryside. After some typical family back and forth bickering you learn that Shaun is dragging her two kids with her to clean out her father's house, the old man who died during the opening of the film. You know nothing about what Shaun's father did, but as the kids explore the home, you learn that he was very wealthy and his house has an extremely high-end security system. When nighttime arrives three men, who have snuck into the home take the children hostage while Shaun is stuck outside with the homes security system now engaged. You later learn that the three men have some insider information telling them that the old man has 3 Million dollars in cash stored inside the home and they are here to steal it. The only problem is that they do not know where the money is hidden. They also did not expect anyone to be home, so once they saw the children, they decided to use them to convince Shaun to tell them where the hidden safe is. The only problem is she doesn't know where it is, so all she can do now is try to save her children. Breaking In (2018) is very much a "by the book" crime thriller. It doesn't do anything that hasn't been done many times before. The story and the character are all pretty generic and forgettable. 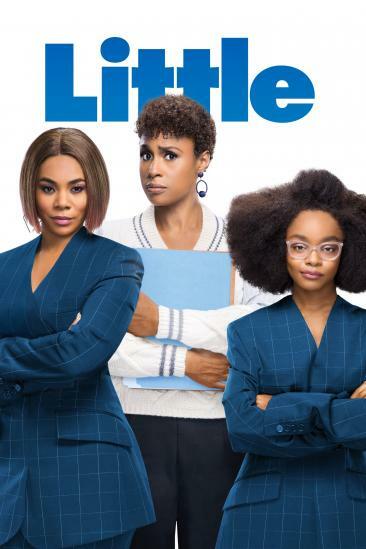 The highlight of the film is Gabrielle Union's performance. She was believable as the badass mama that will do whatever it takes to save her children. But on the other hand, you have Billy Burke as the villain team leader. It isn't his performance that is the issue; it is the way the character is written. His character traits are all over the place. At some points he is nice, and you think he is going to flip to the good side, but then at other times, he is pure evil. The ending of the film was predictable and to be honest the final battle did not deliver on the amount of build up the film had leading into that moment. The film also has some blinding technical issues, the most annoying of which dealt with a drone. Throughout the film, this high-end DJI drone is used to sneak up on people and film them without their knowledge. The issue I had with this is that drones are incredibly loud, especially when flow indoors. You can't just sneak up on someone with a drone. As I am a naturally technical person, this reoccurring issue continuously took me out of the film. Overall, Breaking In (2018) is a predictable "by the book" thriller that brings nothing new to the table. Now, with that said, if you like these kinds of cheap thrills suspenseful films, you can enjoy this film and have fun with some of Gabrielle Union's badass mama moments. It is a lean 1:28 runtime that kicks into gear pretty quickly and doesn't bore the viewer with unnecessary fluff. Breaking In (2018), is available now as an Unrated Director’s Cut on Digital and the all-new digital movie app MOVIES ANYWHERE and on Blu-ray, DVD and On Demand from Universal Pictures Home Entertainment. Bring home the film’s Unrated Director’s Cut on Blu-ray, DVD and Digital and discover gripping never-before-seen content, including an alternate opening, deleted scenes and exclusive featurettes.